The kids are mostly all right in Güeros, but that doesn’t mean that they’re happy about it. No sooner has the film begun than 13-year-old Tomás (Sebastián Aguirre) has dropped a water balloon from his rooftop onto the head of a passing stranger, a minor and easily evaporated act of mischief that nevertheless hints at some roiling discontent. Tomás isn’t poor, and his home life is cozy enough; he’s just feeling his oats, and when his mother sends him to Mexico City to live with his university-age older brother Sombra (Tenoch Huerta), we see that fecklessness runs in the family. A well-read shut-in who refuses to aid his peers in their protests against the school administration (the film is set in 1999, when the National Autonomous University Of Mexico actually went on strike), Sombra strikes all the requisite student-revolutionary poses, from his slouchy posture to his intellectual saber-rattling. But he’s less impressive than he thinks he is, especially in contrast to Ana (Ilse Salas), the dynamic, politically committed radio DJ he’s not so secretly in love with. The brothers and Ana have a couple of things in common: Not only are they all “güeros”—native Mexicans with conspicuously lighter skin—but they’re all equally intrigued by the legend of the (fictional) singer Epigmenio Cruz, whose music soothed Tomás as a child. 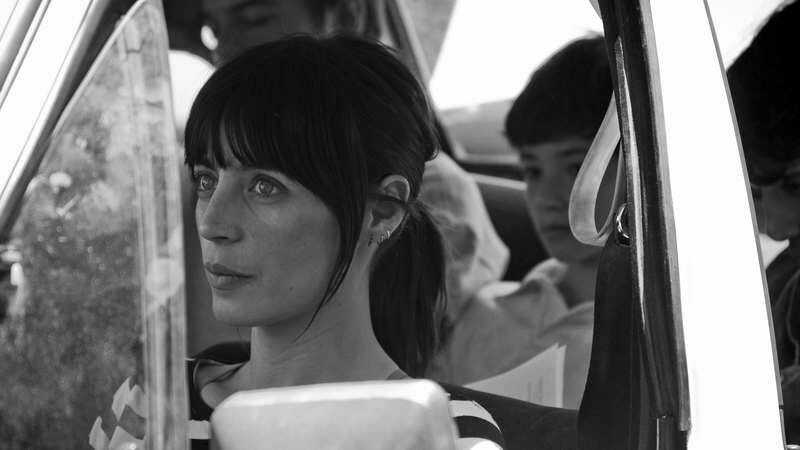 A supposed contemporary of Bob Dylan, Cruz is a mythic figure out of the 1960s—the most obvious symbol in a film whose breezy, black-and-white mise-en-scène and scenes of loudly sloganeering radicals are meant as knowing signifiers of an earlier era. The idea that 21st-century Tomás wants to go chasing after an elderly musician gracefully suggests the transference of cultural heritage. It also gives Güeros the faintest hint of a dramatic shape. The detour-driven search for Cruz takes up the back half of the narrative. Not that director Alonso Ruizpalacios shows much interest in story. Instead, he seems quite content to let the film drift aimlessly along with the people on-screen, as during a (too long) stay at a party that makes visual reference to La Dolce Vita via a glistening swimming pool. There are also moments where he abandons the idea of narrative altogether, inserting what appear to be documentary interludes into the surrounding fiction, and filming his actors out of character to boot. This quasi-Godardian gamesmanship is admirable, both as an homage to a more freewheeling and political moment in cinema history and as a sign that this first-time filmmaker has the guts to follow his instincts and whims wherever they lead. 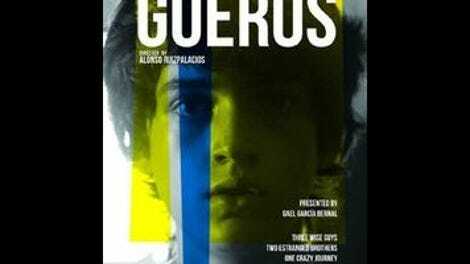 Even if Güeros doesn’t entirely work, it feels worthy: a film made independently and without interference whose reverence for the past thankfully doesn’t result in too much solemnity or seriousness.